Throughout our experience thusfar with Aistear, the Role Play area has continued to be an area of concern for me, as mentioned in previous posts. The children are very happy to play there, and more often than not do engage in role play, but I have noticed them struggling sometimes to engage properly with the relevant theme. Earlier in the year we addressed this difficulty by engaging in extensive planning and review of play in that area, and more recently I have made an effort to ensure that there is an adult present in the area as much as possible, particularly in the earlier days of a new theme, in order to give the children any necessary nudges to remain on topic. In many cases, the children are happy to stay in role but can run out of ideas as regards what they should be doing while playing in a particular role. Having an adult there, playing in role, is often all the support the children need to maintain the drama. But one of the issues I have recognised is that at the beginning of a new scheme of work, the topic is still new to the children and as such, they haven’t been exposed to the necessary learning to give them a jumping off point from which to base their pretend play. I have wondered whether it would be better to introduce a topic for several days or a week before then changing the play areas to match, but this seems clunky and disjointed. 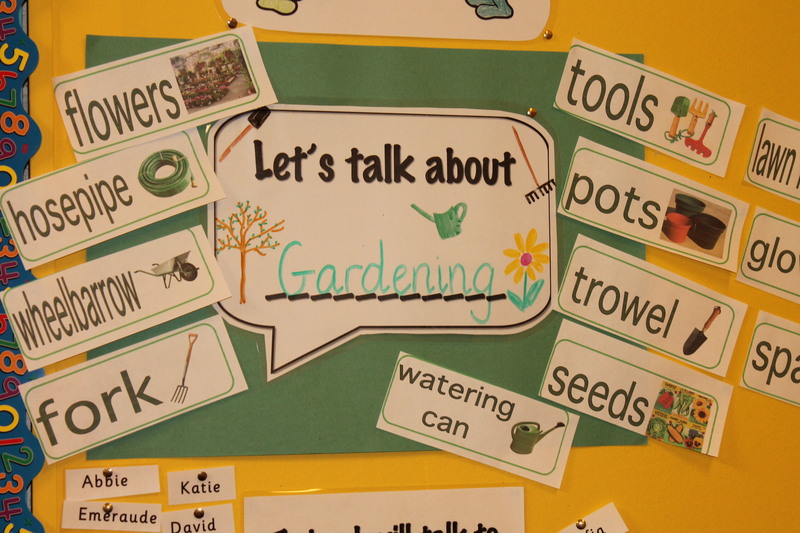 At the beginning of March I introduced an Oral Language slot early on a Monday morning, during which I can introduce the new topic of the week (or build upon the topic established last week) and provide any vocabulary the children may be lacking. I write the topic up on the board under the heading “This Week We are Learning About”, and I have found that drawing their attention explicitly to the desired learning has been useful in terms of the children’s recognition of an overarching theme to our learning throughout the week. We have an opportunity to brainstorm the types of things we may like to do in the Role Play area (and others) – listing the types of questions we might ask, and the sequence of interactions that will need to take place (e.g. buying something, making something, discussing something). This is valuable because it is killing two birds with one stone – there is productive play planning taking place, as well as being a valuable oral language slot. I have found that this gave the children more confidence when planning their own play in the Role Play area. I have then been able to supplement the children’s grasp of the topic at the Conversation Station. In a recent Professional Development seminar at school, I was introduced to the idea of a Conversation Station, something I had never heard of before. It’s a pretty simple concept – an area is set up in the class, where the teacher has an opportunity to have a one-on-one conversation with four or five children each day, with a particular topic in mind. The area may have posters, flashcards, other resources to stimulate conversation, as well as prompts such as rules about good conversation, listening skills, etc. 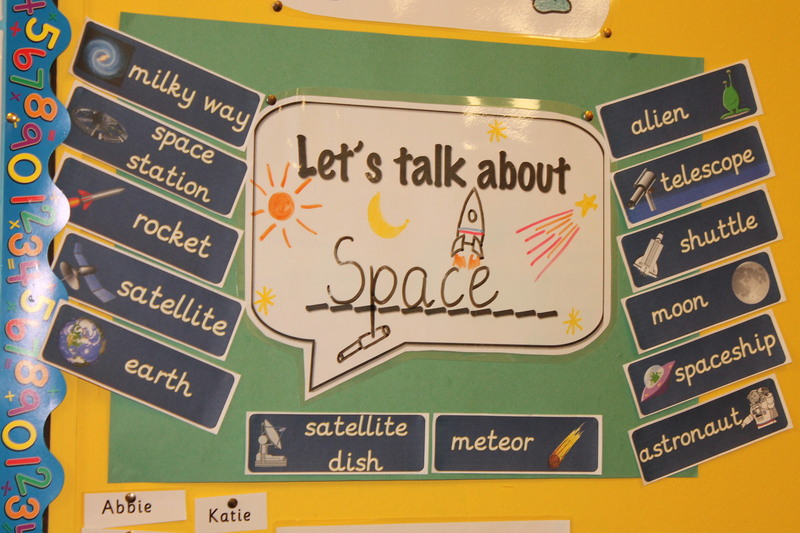 The Aistear hour of play provides a window during which I can have these short chats and the Station provides me with a perfect opportunity to get each child talking about the topic of the week. I think the Role Play area will always be one I would like to improve upon – and naturally certain themes will come more easily to the children than others – but the interventions we have made as the year has gone on have made significant progress. 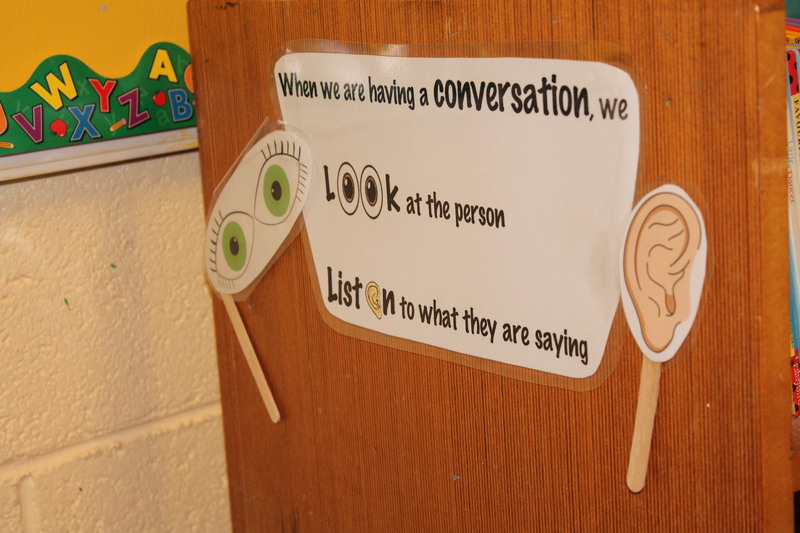 This entry was posted in Planning and tagged Aistear, Conversation Station, Oral Language, Planning, Role Play. Bookmark the permalink. 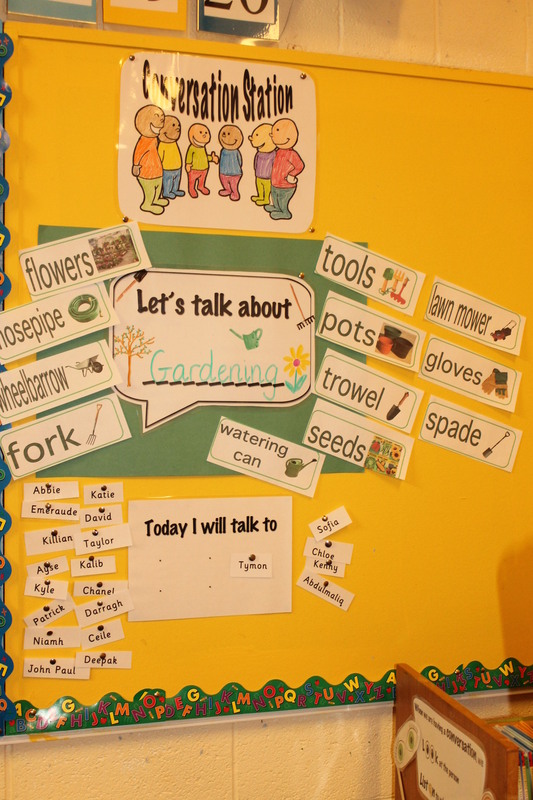 Love your conversation station idea – I have a Montessori Preschool and am reviewing our daily routine. We usually have snack together as a class but this can be quite time consuming as some children take so long to eat. I plan to set up an area where the children can bring their own snack over and sit in groups of 3/4 and chat about the theme we’re learning about. This will be called the Conversation Station to encourage language and social skills at the same time! Hopefully it will work!